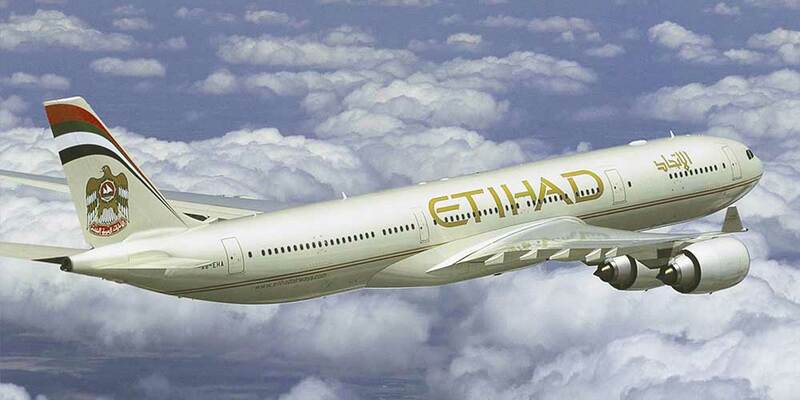 Jun 20, 2018 - Effective 28 October 2018, Etihad Airways, the national airline of the UAE, will introduce a 299-seat next-generation Boeing 787-9 Dreamliner on its daily mid-morning EY653 / EY654 schedule from Abu Dhabi to Cairo. Etihad Airways will operate four daily services, the most frequent number of flights operated by any UAE airline to the Egyptian capital, offering greater choice and optimised timings to benefit business and leisure customers travelling point-to-point between the two cities. June 11th, 2018 :Effective 28 October 2018, Etihad Airways, the national airline of the UAE, will introduce a 299-seat next-generation Boeing 787-9 Dreamliner on its daily mid-morning EY653 / EY654 schedule from Abu Dhabi to Cairo. Etihad Airways will operate four daily services, the most frequent number of flights operated by any UAE airline to the Egyptian capital, offering greater choice and optimised timings to benefit business and leisure customers travelling point-to-point between the two cities. The convenient schedules also provide seamless East-bound connections through Abu Dhabi onto the airline's network to the Gulf, Indian Subcontinent, North and Southeast Asia and Australia.